Enjoy exclusive holiday in luxurious Villas. Hand picked just for you. Spectacular! Closest to the best you can get! Bringing the best of the views, locations, comfort, space, peace and quiet. Save 100€ on available August term! A week still available in this great villa and we are giving it away at our special deal. Book until the 24th April! How to get to korcula island? "One of the most memorable stay of my life, the villa was awesome and the owner very dedicated to us for a pleasant stay. We have great memories in Villa Orgula, Great experience! we loved the place. Service and quality 5 stars." "Firstly, can I assure you that we were very impressed by the Serenada agency and the villa itself. All of our needs were catered for and you went beyond our expectations by organising transport to and from the villa. We loved Gradina Bay and Vela Luka, our only complaint is that the holiday was too short! We will definitely be back but I'm not sure it will be next year as we have so many plans already. If we can squeeze a week in, we will definitely be in touch." 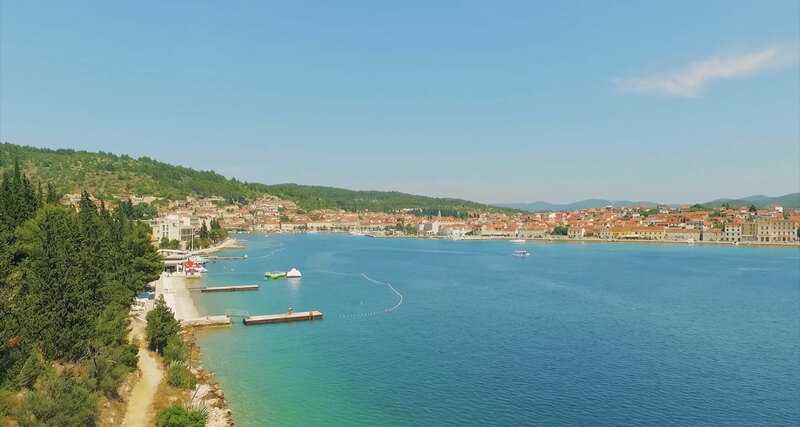 "Thank you very much for your hospitality and your assistance for our vacation days in Vela Luka. It is a very special house with a wonderful surrounding area. We really enjoyed our stay very much and hope to come back again. We should keep this insider tip private but we can't. The village stone villa is a beautiful house in the middle of a wonderful, very private creek. We enjoyed our stay very much and hope to come back soon again." "I cannot rate the property highly enough. From the moment of our arrival we were bowled over by the location, the view, the nature, the quiet, and the property itself. I almost would rather keep this little secret to ourselves! But I can't, so I would say we thoroughly recommend this villa, 6/5 !" Review by Mr Oliver L.
"Hello Serenada Team, It isn't hard to judge you. With your service we were all around satisfied. All I can say is keep it up. We have liked it in the House of Akron also well." "A lovely little villa with a gorgeous little pool, everything was fine." "We had a really great time in Korcula! The house was amazing, and we enjoyed every bit of it! we really have nothing to say on that. It was very well organized, clean, welcoming, just as the owners! loved them! "Just to say thank you for your help with booking & finding the lovely Villa Orgula. We had the perfect holiday."